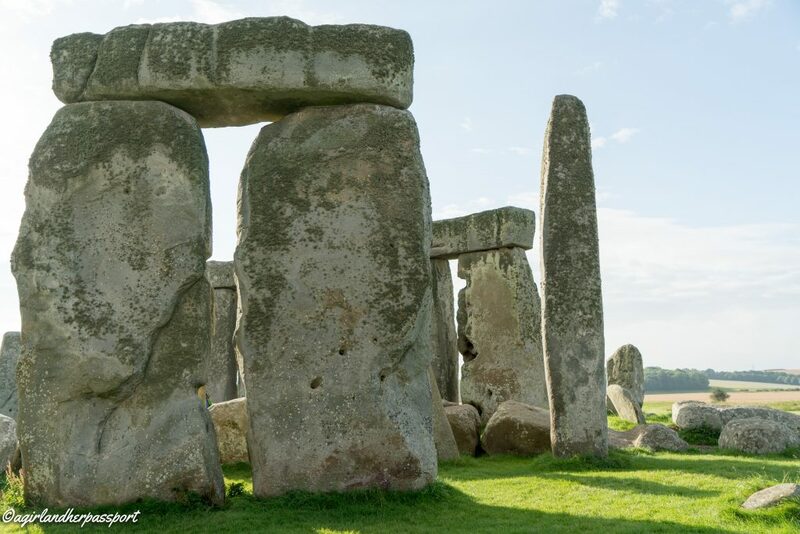 For many of us, Stonehenge is a place we have heard about since we were in elementary school and due to the mystery its origins we are drawn to it. This is the case for me as well. Once I knew I was going to the UK for a month, I knew had to make time to visit. 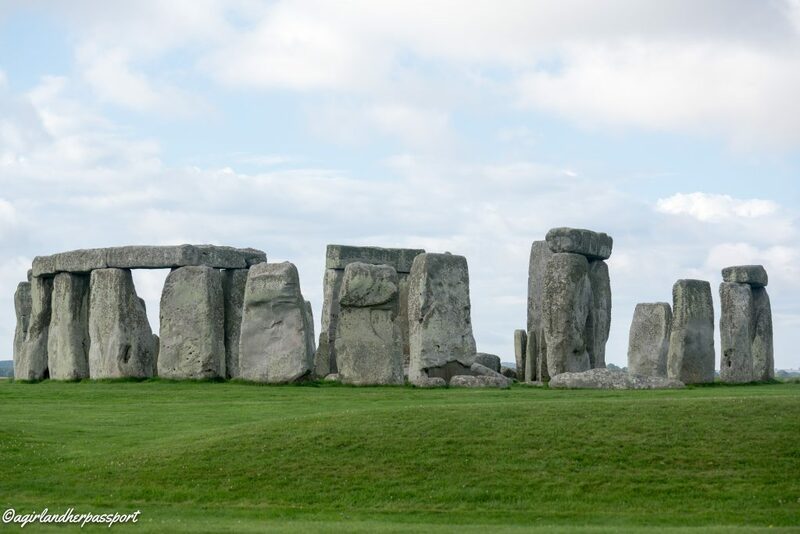 It is really easy to take a Stonehenge tour from London. The downfall of the popularity of visiting Stonehenge is that it gets very crowded and you can no longer walk among the stones on a regular ticket. I really wanted to be able to walk among the stones and have no people in my pictures, so I opted for a tour from London. In order to have no one in the shots, we were picked up in Central London at 5:00 AM! Crazy early but as will see below, absolutely worth the early start. 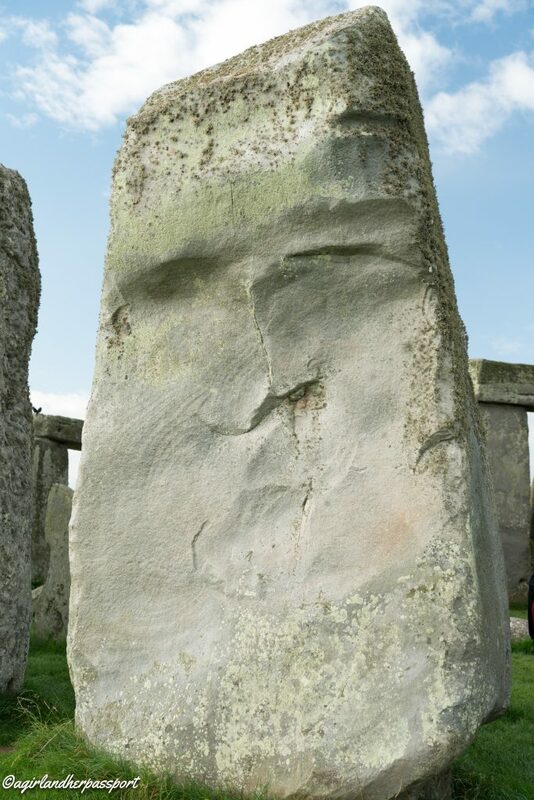 I won’t go into too much of the background of Stonehenge because there is so much online and I am not an archaeologist. Stonehenge was a first just earthwork, wood posts and small stones. Then the large stones were added several hundred years later. Obviously building the structure probably took many years. The stones likely come from two areas, one about 20 miles away and the others came from Wales. Which is just astounding considering they had to move them without the assistance of machinery. The archaeologists have many theories about how they were transported. 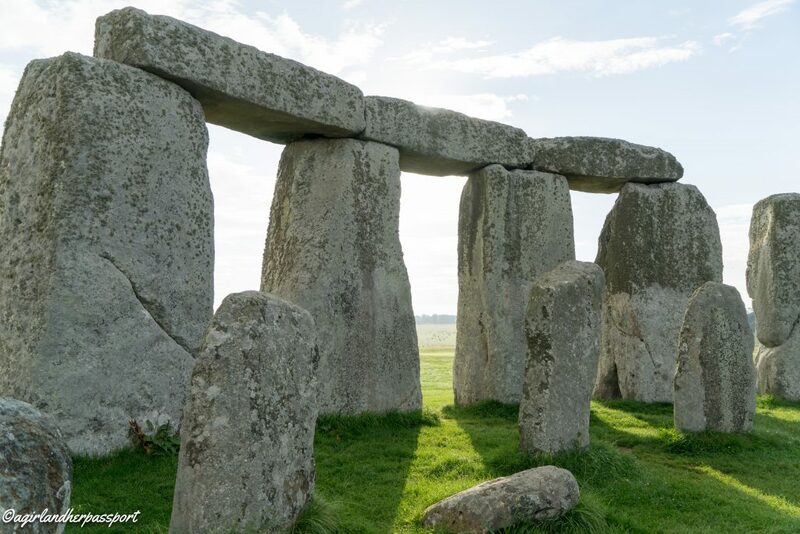 The stones at Stonehenge are partially buried in order to allow for them to be standing. The stones were shaped to fit together and you can see evidence of these holes on some of the ones that have fallen down. 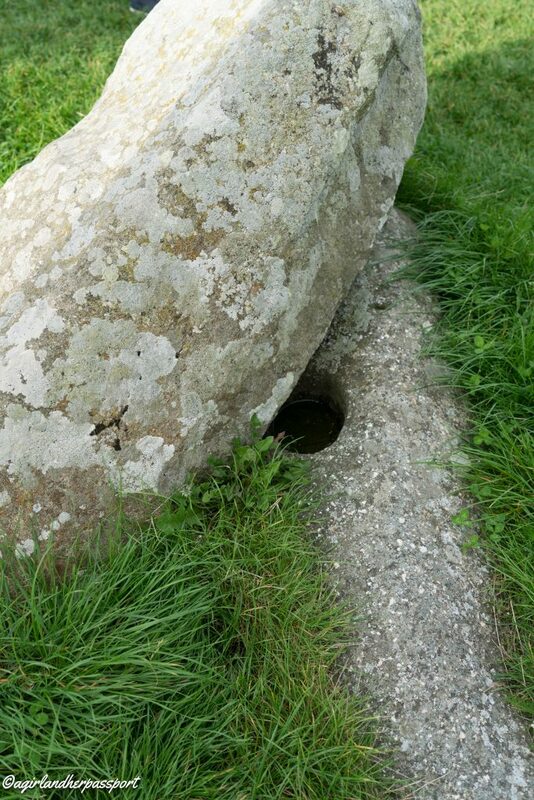 I also wonder if some of the holes were used in the transport and raising of the stones. There are many theories on what the stones were used for from a burial ground, a temple and a calendar. Each theory has merit and we, of course, can never be completely sure what they were ultimately used for. 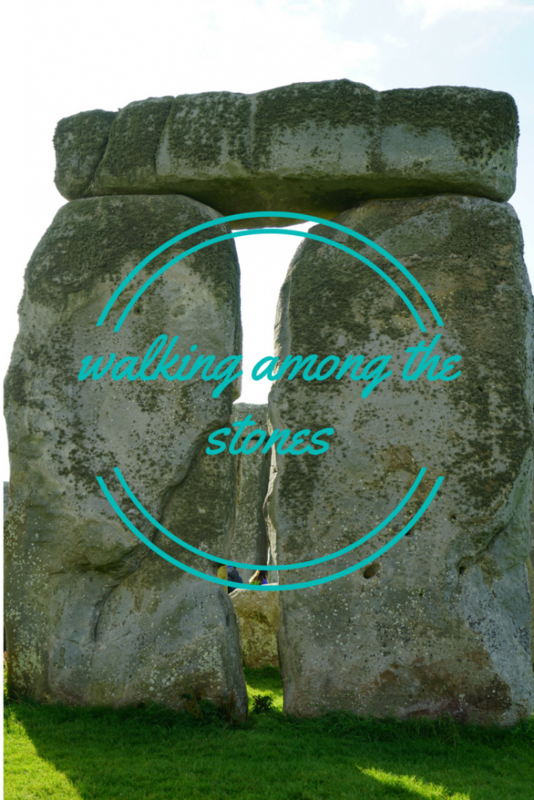 If you want to walk among the stones, I highly recommend a Stonehenge tour. It is the only way that I can tell. Each tour company seems to be allotted a day of the week to take their guests into the stones. Some companies will leave from London and some from Salisbury. My tour continued to Oxford and Windsor Castle. While I enjoyed seeing those places as well it was a long and hurried day. I wish I had just done Stonehenge and one other thing because I was exhausted at the end of the day. I couldn’t find a tour that did just Stonehenge. When you arrive, if you are on a tour, you won’t have to go to the tickets booth. 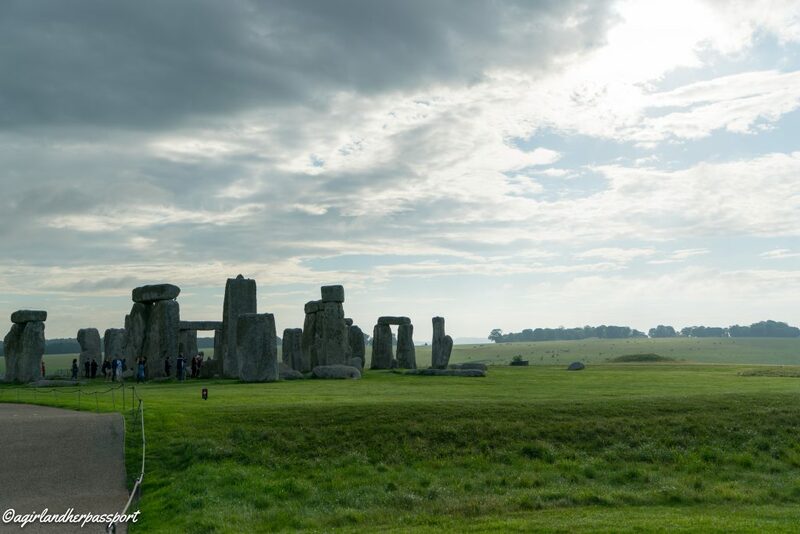 Your tour guide will take you to the shuttle bus that takes you to Stonehenge. If you are on your own, you will have to show your tickets or buy them at the visitor’s center. Then you can get on the shuttle bus or walk. The walk is long though. If not on a tour, you can walk the outside circle of Stonehenge. If you are not on a tour, I recommend getting an audio tour as there is little informational signage. 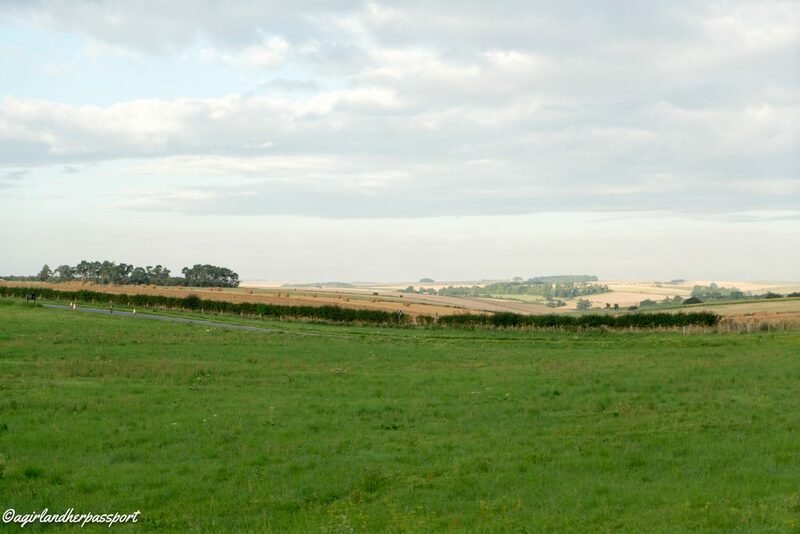 The site also offers some amazing views of the English countryside. Getting close to Stonehenge is one of those things I will never forget and ranks up there with my visit to the Pyramids and Petra! Have you been to Stonehenge? I’ve been there a couple of times but never on a tour. My dad actually has photos of when you could walk right up to the stones – must be from the 1950s or sometime back then! That must have been so great. I wanted to touch them so bad! But getting right up close was pretty awesome. I think as late as the 60s or even 70s – I’m thinking of an album cover with the singer leaning up against the stones on it – you could just wander on up. I think you could walk up to them well into the 80s. I could be wrong though. Great post – very informative! Never knew you could take tours to get closer. Haven’t been but want to! No worries. Thank you! You should go. Thank you! I bet they loved it. Definitely one to remember. Everybody knows the stones are used for time travel – duh! ? Great post – I’ve driven by dozens of times, but sounds as though a tour would be really worthwhile! Haha! Well maybe only if you are an Outlander fan? Thanks. You should do one! They are gorgeous! Time has only made them prettier. Thanks Mel! I am glad you enjoyed it. Thanks for giving us the benefit of the tour of Stonehenge without the hassle or any of the crowds. I’d love to visit someday. You’re welcome! I am glad you enjoyed it. Thank you! Glad you found the post helpful. Stonehenge has been on my bucket list for far too long!! It’s amazing how all the sites that are on your doorstep are always pushed lower down the to-do list! I must MUST visit asap. Yeah, I feel the same in the US. You must go soon!